It may have gone through more updates and revision than Windows but the current version of the referral system (DRS) shows little sign of having ironed out the bugs of its earlier editions. Like space travel, our ambitions for the technology continue to outweigh what it can currently supply. That is, of course, if you consider a world where every decision is guaranteed 100% correct to be an utopian rather than Orwellian one. The Indian cricket board last week announced that it would not accept the use of the referral system in any bilateral series in the foreseeable future. (It will, however, be forced to accept it during the forthcoming world cup.) The BCCI stated quite plainly that it doesn't trust the accuracy of the technology. The Ashes series just finished, hardly disproved this point but it did provide compelling evidence for its extension in one particular area. The fact is, umpires are in no position to make an accurate judgment - they are often stood two or three metres back from the stumps (at the request of the bowler no doubt) and besides which they have more important things to do. I also wouldn't criticise them for not making more referrals, over rates are funereal enough as it is. 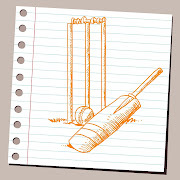 Instead full responsibility should be given to the third umpire to review each delivery. There may not have been many tight finishes in this particular series, but one doesn't have to go too far back to recall matches won or lost by the odd run. 34 no-balls were called during this past series. But how many more went unpunished? Bringing back distant memories of Perth, Johnson did eventually find his line and length when adding " "I suppose it's not a bad thing, but it can be frustrating. I suppose you've just got to get your foot behind the line." Well, yeah.